Mumbai: Ranbaxy Laboratories Ltd was on Wednesday awaiting final approval for introducing a generic version of the cholesterol drug Lipitor in the US market, as Pfizer Inc.’s patent protection for the drug expired. “I hope the FDA (US Food and Drug Administration) may issue approval to Ranbaxy at any movement now," one of them said, asking not to be named. The firm’s India spokesperson said he has “no updates yet and the company has no statement to make at present". Launching its generic version with a six-month market exclusivity is a $600-700 million sales opportunity for Ranbaxy. The FDA had earlier granted Ranbaxy tentative approval to market the generic copy of Lipitor, known as atorvastatin, in the US. The company was awaiting a final clearance as the US regulator has blacklisted two of its Indian manufacturing plants—including one in Himachal Pradesh that was supposed to manufacture Lipitor’s copy—on a quality compliance issue. With no sign of a resolution, Ranbaxy had decided to manufacture the drug at its US-based facility Ohm Laboratories. The company was still in talks with the FDA over the issue. Analysts said Ranbaxy will be able to launch the drug on schedule. 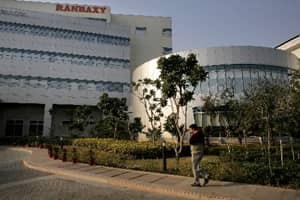 “A senior management team from Ranbaxy led by managing director Arun Sawhney is camped in the US and the negotiations are still continuing," said a pharma analyst with a foreign brokerage on Wednesday, requesting anonymity. Ranbaxy is eligible for exclusively marketing the generic version of Lipitor for six months in the US along with local rival Watson Pharmaceuticals Inc., which has an agreement with Pfizer to sell a cheaper version. Ranbaxy shares lost 3.88% to close at ₹ 434.80 on the Bombay Stock Exchange on Wednesday.